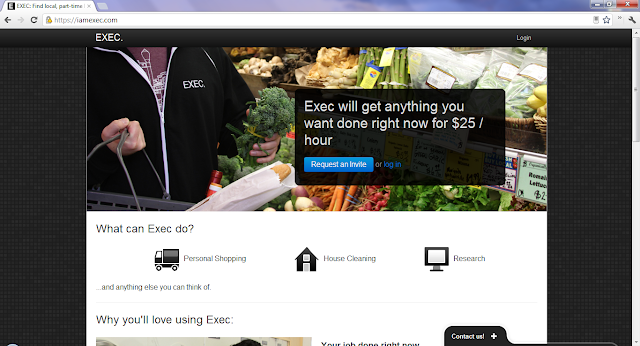 EXEC is your personal workforce. EXEC is an iOS application that allows you to hire someone to get just about anything done. Unlike TaskRabbit, Zaarly, and the like you are hiring pre-screened EXEC employees to complete your requested task. There is no bidding, waiting, or negotiations; you request help and a professional assistant is ready for $25 an hour. The service is only available in San Francisco right now with plans to expand soon.